This conclusion was reached by looking at the best studies available up till 2002. No new studies have provided evidence the conclusion of the meta-analysis was wrong, but it seems the Cochrane Collaboration could not live with such a politically incorrect conclusion. In a new study, and a pretty damn large one at that, the researchers went out of their way to resurrect the dead, but sadly not buried lowfatforweightlossworksgoddamnit-hypothesis. 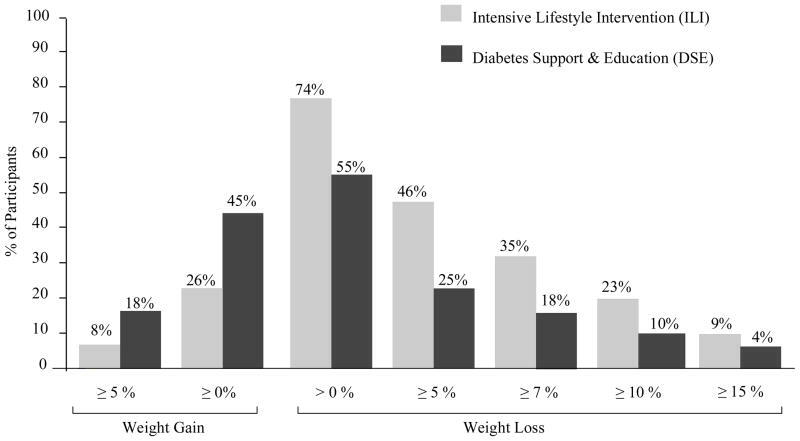 A total of 5,145 overweight/obese men and women with type 2 diabetes were randomly assigned to an intensive lifestyle intervention (ILI) or a usual care group, referred to as Diabetes Support and Education (DSE). At the end of the 4 year period the participants in the ILI group, whose average baseline weight was 95kg in women and 109kg in men, reduced their weight by 4.7%. Actual weight loss was 4,9kg. So there you have it. These are the grand effects of 4 years of intensive lifestyle changes. I’m not impressed. 1. J. Stevens et al., «The Definition of Weight Maintenance,» Int J.Obes. (Lond) 30, no. 3 (2006): 391-399. 2. George A. Bray, Claude Bouchard, and W. P. T. James, Handbook of obesity, ed. George A. Bray, Claude Bouchard, and W. P. T. James. (New York: M. Dekker, 1997), xii, 1012. 3. S. Pirozzo et al., «Advice on Low-Fat Diets for Obesity,» Cochrane.Database.Syst.Rev., no. 2 (2002): CD003640. 4. R. R. Wing, «Long-Term Effects of a Lifestyle Intervention on Weight and Cardiovascular Risk Factors in Individuals With Type 2 Diabetes Mellitus: Four-Year Results of the Look AHEAD Trial,» Arch.Intern.Med. 170, no. 17 (2010): 1566-1575. 5. 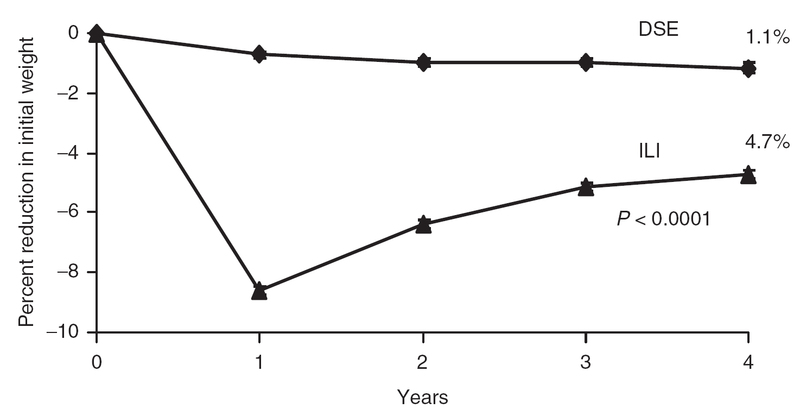 T. A. Wadden et al., «Four-Year Weight Losses in the Look AHEAD Study: Factors Associated With Long-Term Success,» Obesity. (Silver.Spring) 19, no. 10 (2011): 1987-1998. Neste Neste innlegg: Mindre fett?